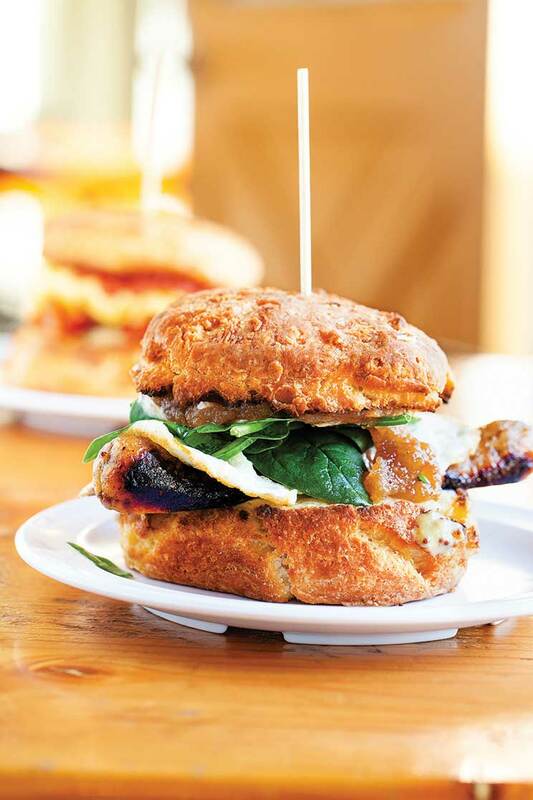 Seattle eateries have a knack for offering just the right dish for comfort-craving locals. Comfort food in diverse Seattle means noodles, bobbing in deep bowls of aromatic pho, sharing space with fatty slices of pork in ramen, or sauced with a hearty Bolognese in ropes of fresh pasta. For pho, indulge in a super bowl of the steaming-hot noodle soup that feeds four at Dong Thap Noodles (303 12th Ave S). Venture to Capitol Hill’s Ooink (1416 Harvard Ave; ooinkramen.com) for rich pork bone-broth ramen and gyoza, or try Fremont’s Kamonegi (1054 N 39th St; kamonegiseattle.com) for rave-worthy handmade soba noodles paired with duck breast and tempura. As for classic Italian pasta, the must-have stop is Pioneer Square’s lunch-only Il Corvo (217 James St; ilcorvopasta.com) for steaming bowls of Bolognese. Chef Mike Easton prepares his pasta fresh daily to the delight of hungry visitors as well as locals on their lunch break. Got a Southern-fried craving? Drop by Capitol Hill’s Wandering Goose (403 15th Ave E; thewanderinggoose.com) for crispy battered chicken and slab-size slices of cake. Ballard’s Biscuit and Bean (5905 15th Ave NW; biscuitandbean.biz), housed in a cozy trailer, is another must for towering biscuit sandwiches like the Classic, topped with bacon, Beecher’s cheese, an egg, and tomato jam. And in downtown, Tom Douglas’s Serious Pie & Biscuit (*401 Westlake Ave N; seriouspieseattle.com/westlake) serves such delights as a house-made buttermilk biscuit topped with fried chicken and a black pepper gravy with a bit of a kick. If you’d rather your fried chicken come with a heavy dose of spice, try the tongue-scorching Nashville-style hot chicken at Sisters and Brothers (1128 S Albro Pl; sistersandbrothersbar.com). Pieces are served over slices of white bread in a classic red basket.